We have a wide range of lock maintenance tips that homeowners and business owners alike can benefit from. From choosing the best lock for the property to learning about the services you might need, we offer information on just about anything about locks and keys. Although not all problems can be prevented, it's good to have a pretty good idea of the condition of the door locks. Since most people do not open all doors daily, it's good to unlock and lock them all periodically. 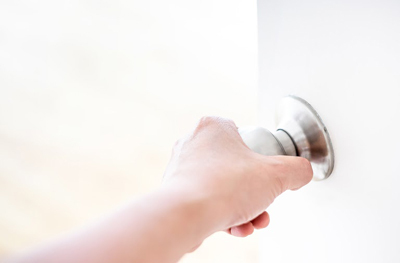 If you notice that some doors don't lock properly or with difficulty, call our experts. Homes are often burglarized due to mistakes which could have been avoided. So, make sure all entry points are locked 24/7. Look at the peep hole before opening the door. Don't let strangers inside for any reason. Don't hide keys under doormats. Repair door locks when they're damaged. Don't say you're not at home in the phone answering machine. If you're interested in safe installation, it means you have valuables you want to keep secure in the house even if they are in the form of documents. So, you don't want potential burglars finding your safe and carrying it with them. Our professionals suggest finding a good hiding place that no one will find. Be careful when hiding the keys outside. When hiding a key outdoors, hide it in a spot that’s not obvious like under the mat or in a flower pot.